A Mold Infographic by Disaster Restoration Singapore. 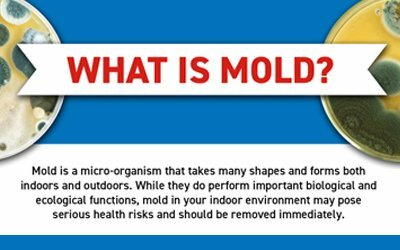 Mold is a micro-organism that takes many shapes and forms both indoors and outdoors. While they do perform important biological and ecological functions, mold in your indoor environment may pose serious health risk and should be removed immediately.